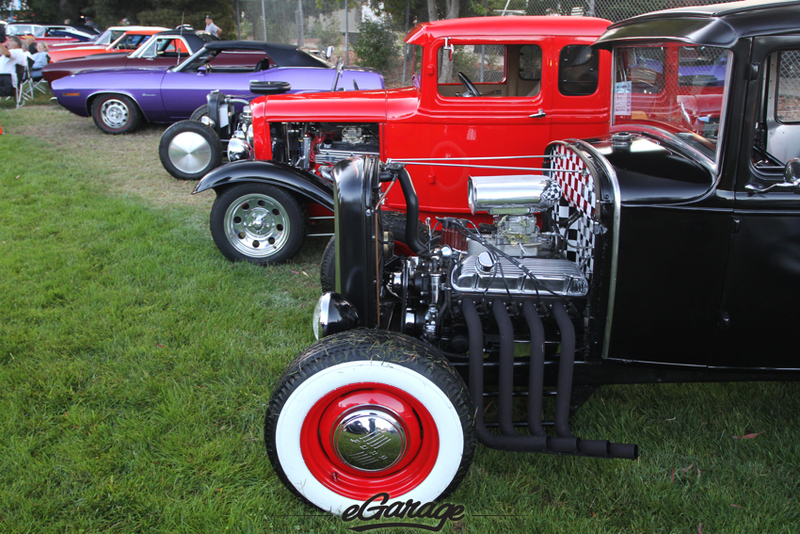 Like most Hot Rod and Muscle Car gatherings, the day starts early. Cars gathered at 6am isn’t unusual. With the gates still closed to the 2011 Horses to Horsepower charity event, we arrive to find beautiful cars and trucks lined up over a mile long. 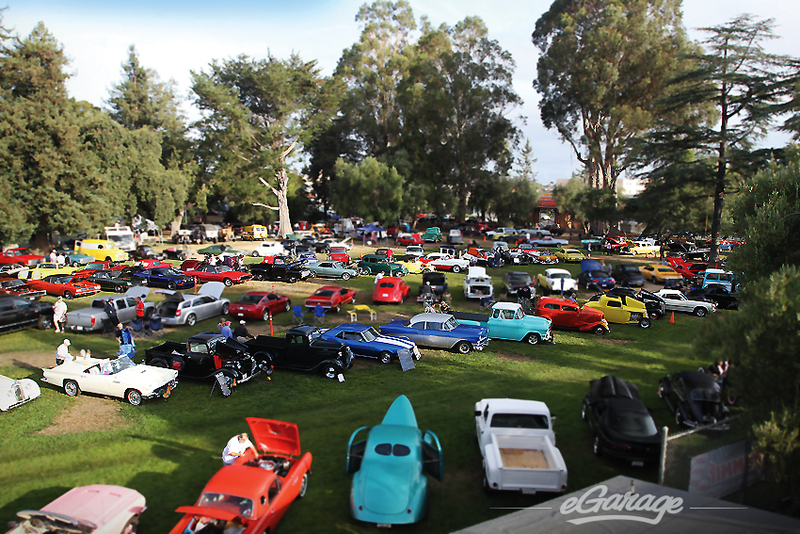 Each Year on a sunny California Sunday, show organizers Larry and Loretta Knight turn a local high school into a small town of 300 Automobiles. For the past 15 years they have nestled cars on the wooded Sequoia high school campus – raising over $100,000 for high school programs. An event like this is a wonderful opportunity, not only to give back to the community but to introduce young adults to proper car culture and the result of hard work and integrity. Wisdom flourishes throughout the day and in many instances, car show etiquette is passed down from generation to generation. 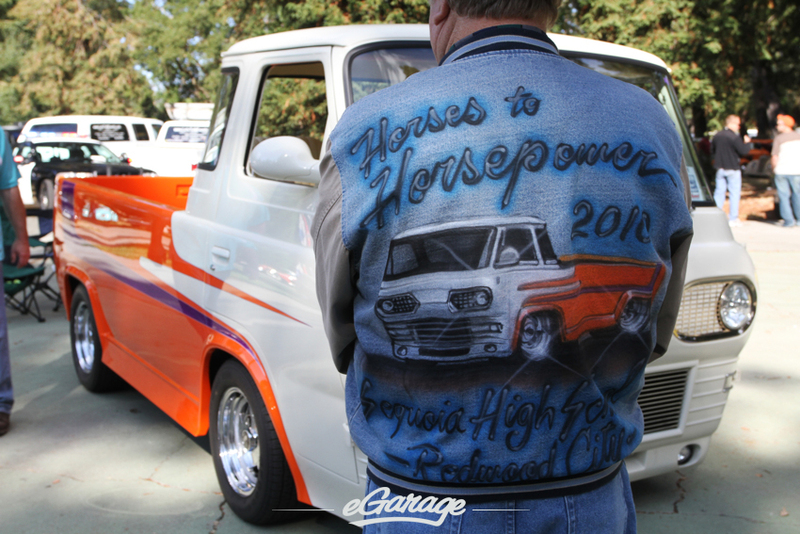 Horses to Horsepower is more than just a showcasing of beautiful Automobiles. The Silicon Valley, well known for its high tech industry, start ups and venture capital firms is also home to many working class citizens with old school trades. This event is an impressive kinship of hard working Americans living a dream easily seen in the custom cars they have brought out to share. The vibe is friendly. It is easy to see the pride and value through cars like this. The atmosphere is inviting and filled with witty humor. 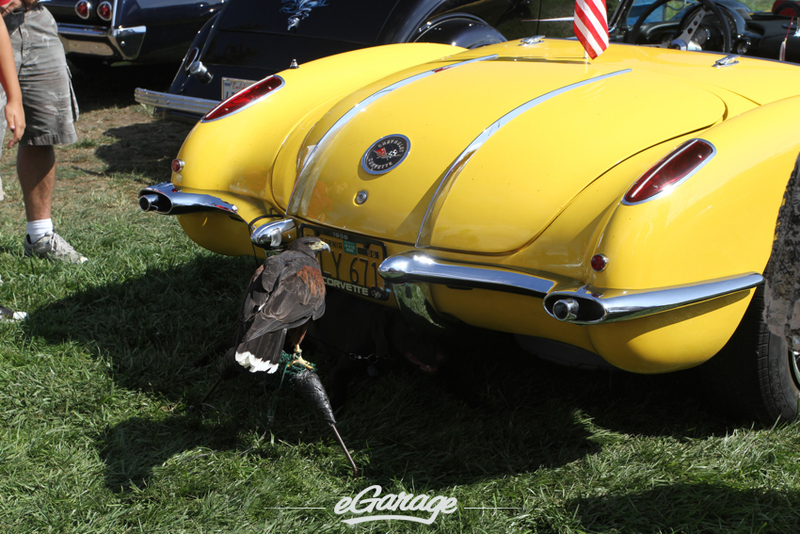 In addition to Automobiles, families are encouraged to bring their children, their dogs, and their pet… hawks? 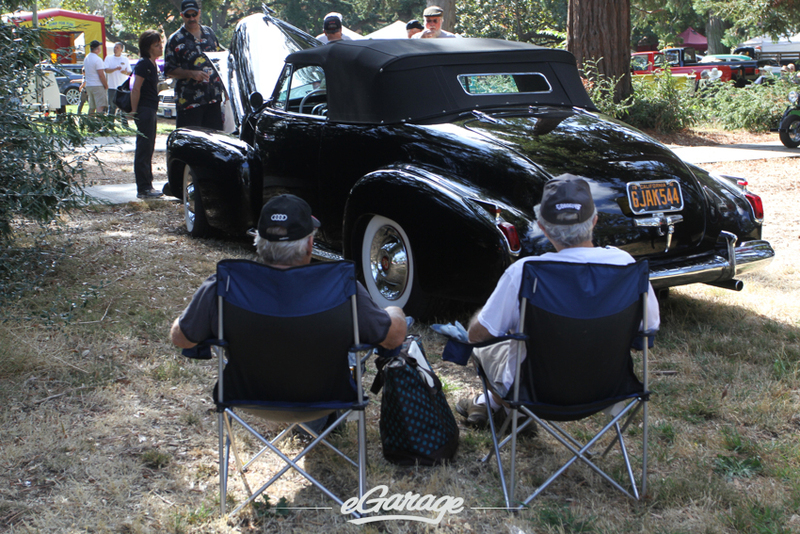 The Black 1941 Cadillac Convertible stole the show, we were quite certain this would be in the top 4 the moment it rolled through the trees onto the campus. Each year the top four cars make it onto the posters and t-shirts for the following year- this is a tradition for the event. Attended by nearly 3000 people, Horses to Horsepower is not only the largest unknown car show but also likely the most humble.